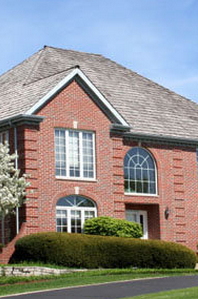 Be patient: Some all-cash buyers and their offers can appear and disappear, especially if the buyer is overseas. Your financing-contingent offer still might have a shot, especially if you’re willing to put down a large down payment. Know the market: Work with your real-estate agent and loan officer to find sellers that are open to accepting bids with financing. Don’t get beat out by other offers pick a good realtor! If you would like to consider your options for buying please contact Melody Pike Southern California Realtor who works in both (single family homes) residential houses. Realtor serving Orange, Los Angeles, San Bernardino and Riverside counties. 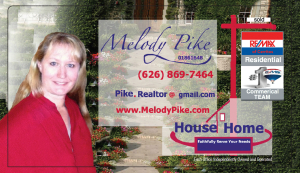 If you do not live in Southern California and need a realtor contact Melody Pike and she will help you find a Realtor in your area. Get results you will love with a local Southern California Realtor!